Join us for a great day of hiking and take home memories of high alpine wildflowers, browsing moose, soaring eagles, roaring glacier-fed rivers, unrivaled mountainous vistas, clearwater streams, and maybe even a glimpse of a grizzly bear. 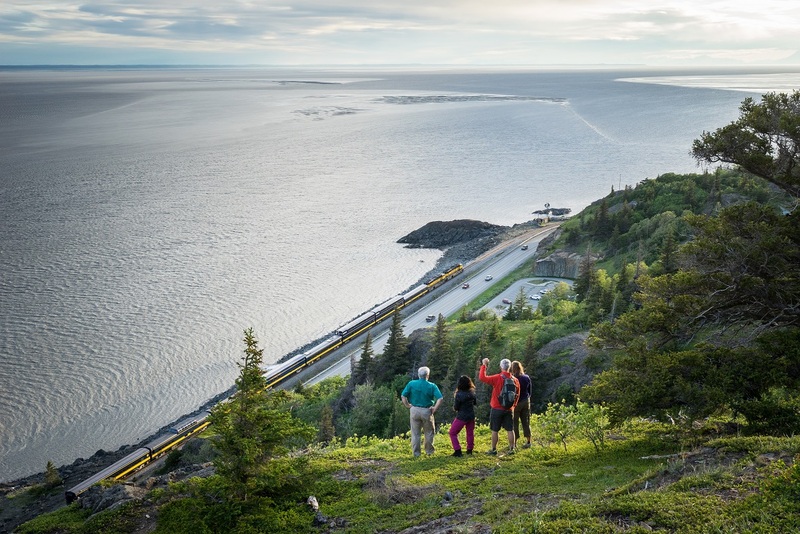 Beyond the foothills at Anchorage's city limits lies the third largest state park in America - over 500,000 acres of some of the most accessible hiking, wildlife viewing, and wildflower areas in all of Alaska. Those of us lucky enough to live here feel the influence of Chugach State Park almost daily. The mountainous backdrop to Anchorage reminds us that, although we live in an urban setting, we really reside in the middle of a vast wilderness. 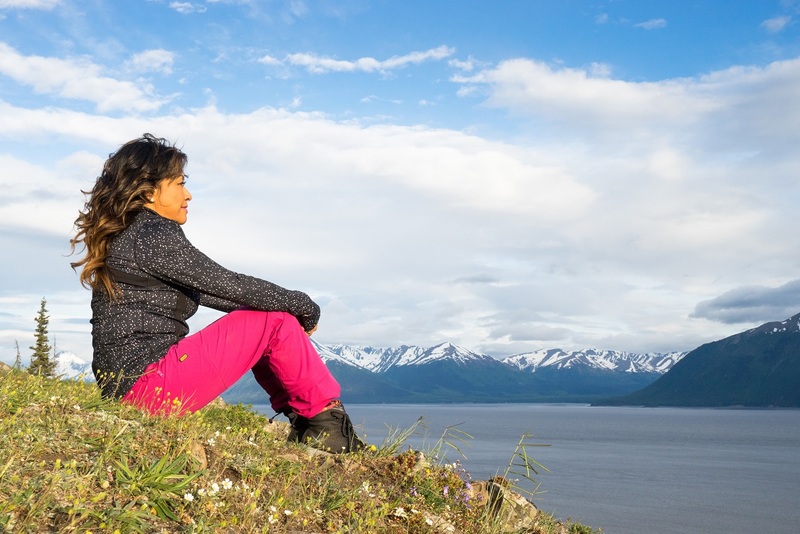 Chugach State Park is listed as one of the top ten state parks in the country by America's Best. Your naturalist guide will safely guide you on one of the many varied trails available in the park. Each days hike is carefully selected to take advantage of local weather conditions, group ability levels, and group interests. Learn about the rich geologic, natural, and human histories of the park and have fun identifying local flora and fauna with your expert host. I arrived in Anchorage as a hanger on to my husband who was attending a business conference here. On my own for a couple of days I wanted to experience some of the wilderness outside Anchorage. Most of the trips I tried to book at the last minute either were fully booked or the timings did not work for me. I found Steve Busby (Greatland adventures) through the Internet, and at short notice was able to set up a days hiking. I like to hike, so Steve chose a hike suitable for me, he tailors his trips around clients requests. I was amazed at the fact that he was prepared to do this trip with just me. We had the most fantastic weather and hiked about 6 miles out in the Chugach State park to the Williwaw Lakes. Steve is incredibly knowledgable about the flora and fauna. We swam in a cirque lake, ate lunch and hiked back along the river to the Glen Alps trail head. It took about 6 hours. Steve is a perfect host and guide, conscious of his client's abilities and needs. If you come to Anchorage make Steve your first stop in planning any activity. I intend to come back and plan a back country ski touring trip with him in the winter. Steve was awesome. He was so great the first 1/2 day, that we hired him for a second full day. Very knowledgeable. Took us on wonderful hikes. We would highly recommend him and would hire him again.